We’ve covered some clever ways to hide ugly wires in your home, but what can you do with cables, cords and wires that you use more frequently? 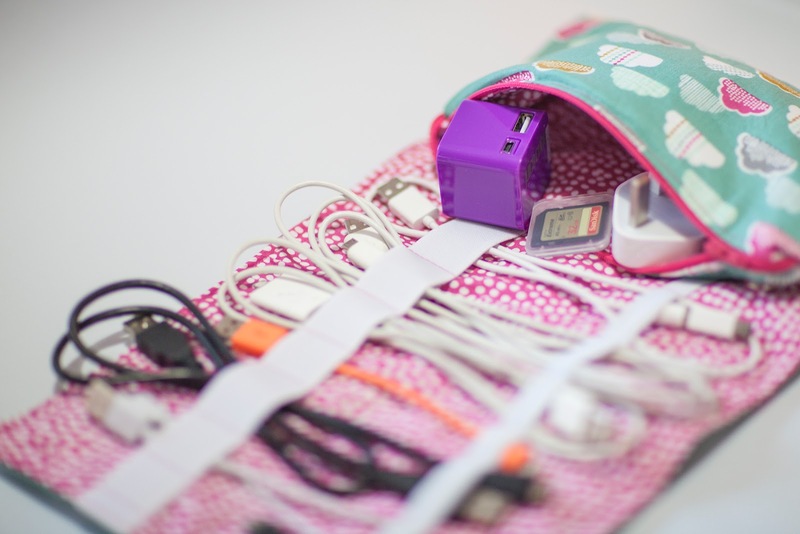 We’ve all experienced the heart sinking feeling when we see that the cord we need is in a tangled web of other cords in your drawers, your purse, or your luggage when you’re traveling. And we’ve all spent countless ours trying to free said cords from the mess all the while vowing that we will never again allow the cords to become this tangled, only to find ourselves in the same predicament a month (or so) later. But what can you do? You can’t very well just throw them all away, these are power cables essential to the life of you electronic devices after after all. But if you have to look at that jumbled mess one more time, you’re going to lose it right? 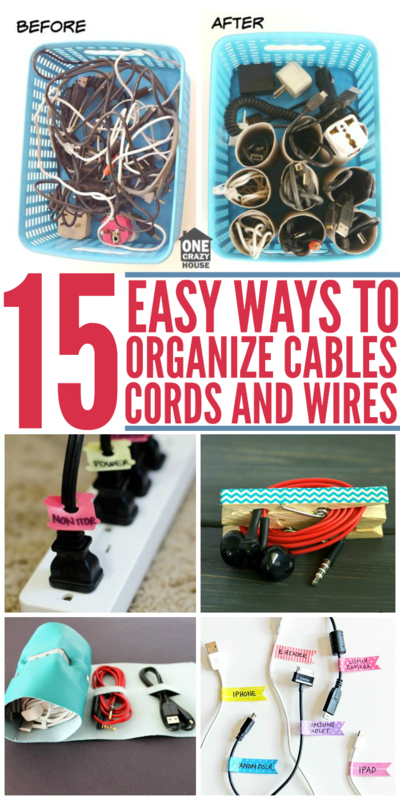 Well, you can relax because we have found 15 ways to help organize cables and wires that will help you keep you “never again” vow, and you sanity. 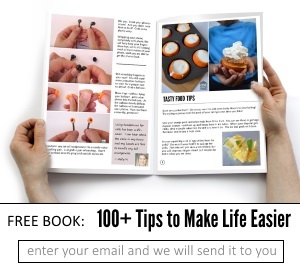 Save your toilet paper rolls! 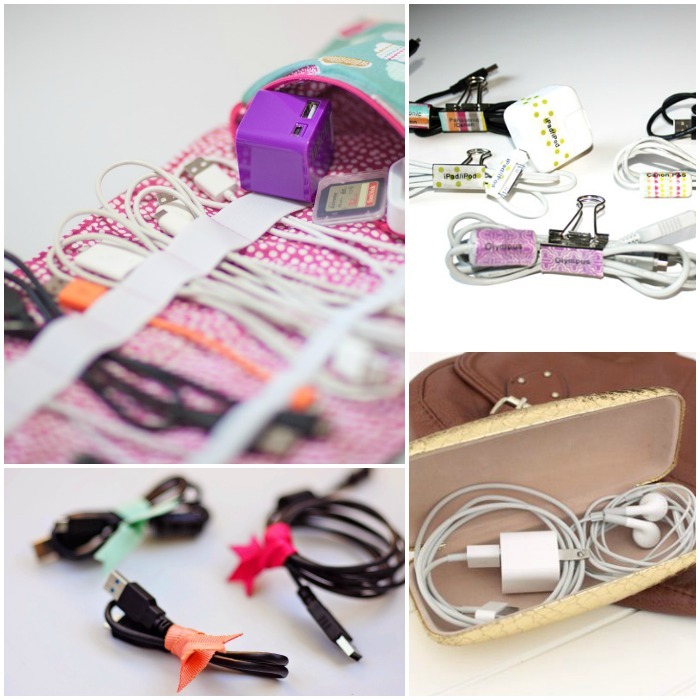 Slip a cord into each one to keep them separate from the others in storage. 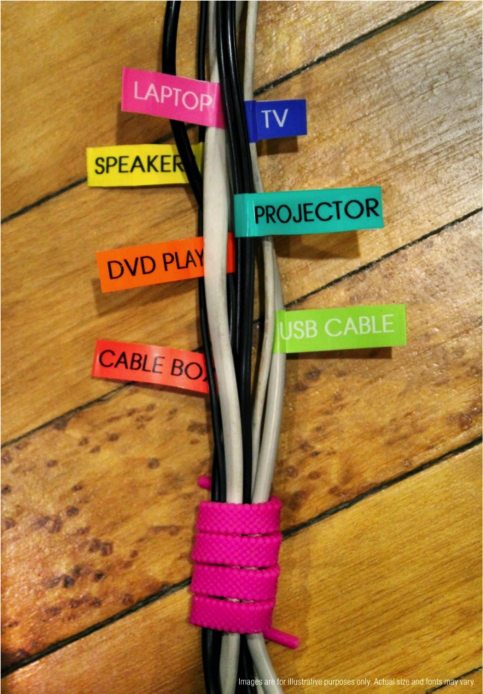 Label cords at both ends so you’ll always know what you’re unplugging. And here are more office organization tips you should check out! 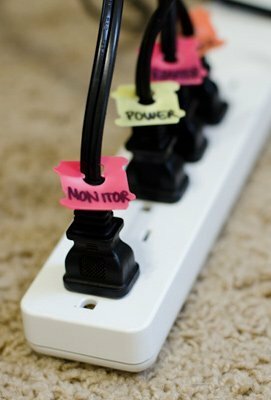 If you don’t keep bread ties around, use the label maker to create labels for both ends of the cords. I’ll use any excuse to break out my label maker! No label maker? No problem! Washi tape and markers works just fine. 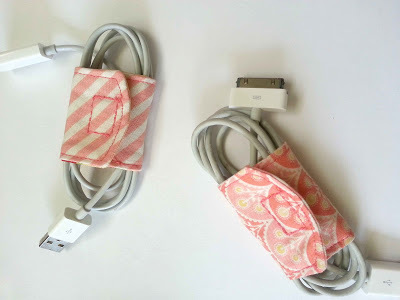 If you’re the crafty type, make your own cable cozy to keep the cords and cables to all your devices. This leather cord roll is a simple and stylish option if sewing isn’t your thing. 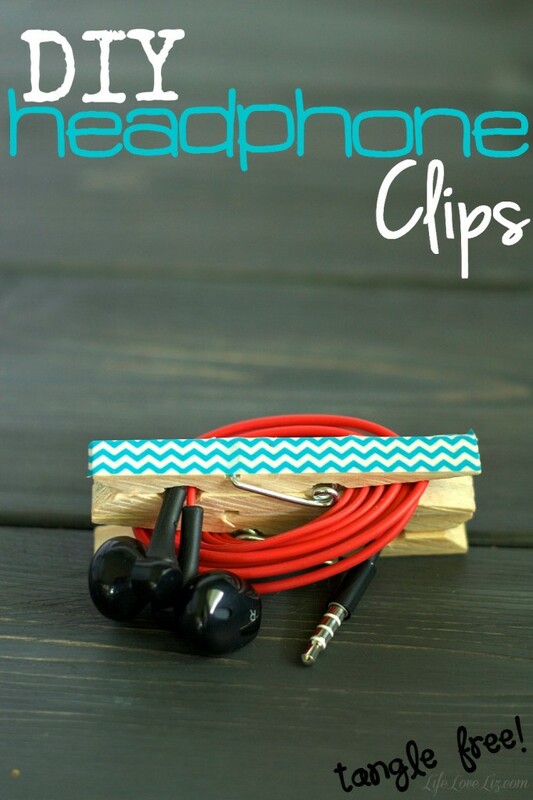 Binder clips work well, too. 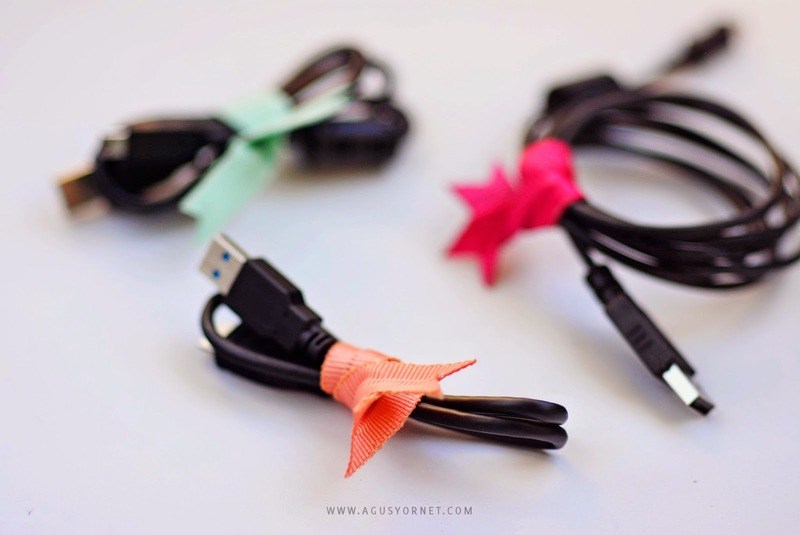 Ribbon twist ties are functional and pretty! When you’re traveling, keep chargers and earbuds in an old sunglasses case so they don’t get tangled in your purse or luggage. Genius idea from PinterestingStuff! 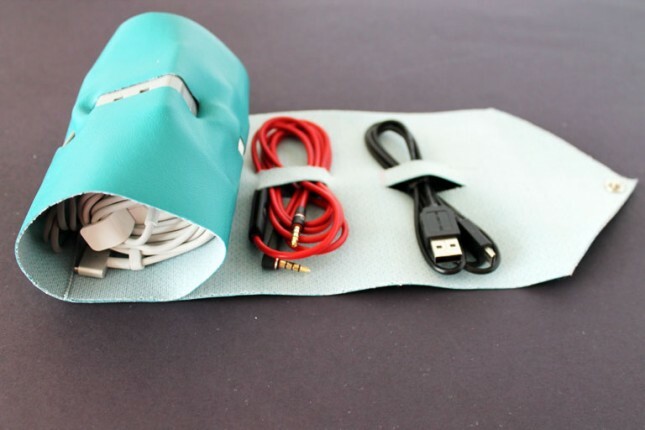 DIY cord keepers are another excellent option for travel. 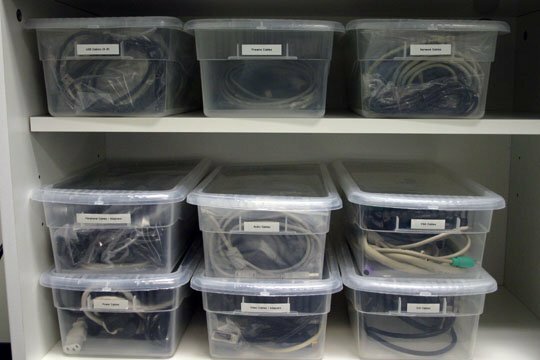 If your cable stash is large, ziploc baggies and plastic bins are the easiest way to corral those cords. 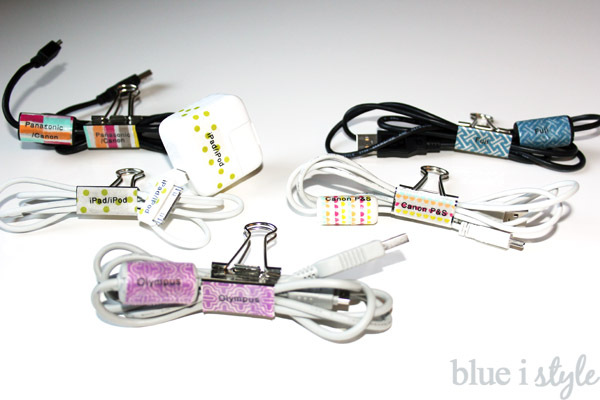 This isn’t an organization tip so much as an amazingly fun way to keep your cables in place — use Lego figures! Heavy cords require a heavy duty solution. 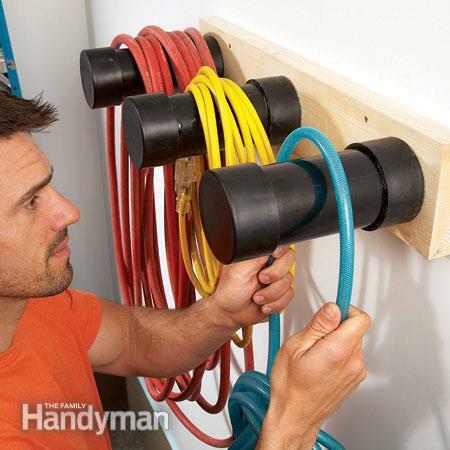 Create hangers for them out of PVC piping. The garage is a great place to store them. 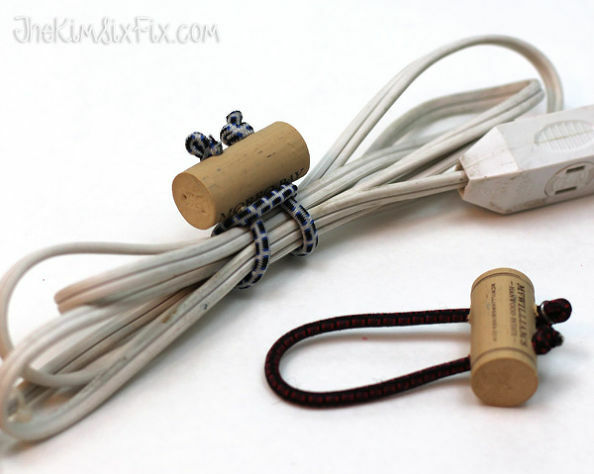 See, a solution for every cord entanglement problem. 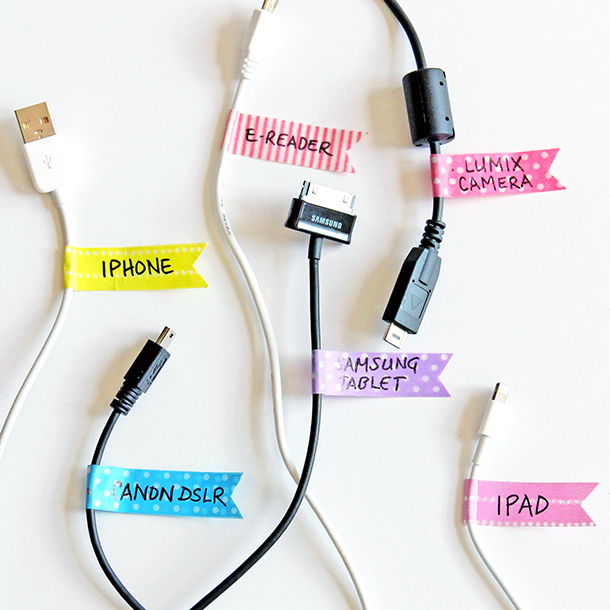 No matter the room, no matter the container, you can end the tangled cord battle forever (as long as you replace the organizing device when done with the cord.) Have a tip for organizing cables and wires? Share it on our Facebook page!